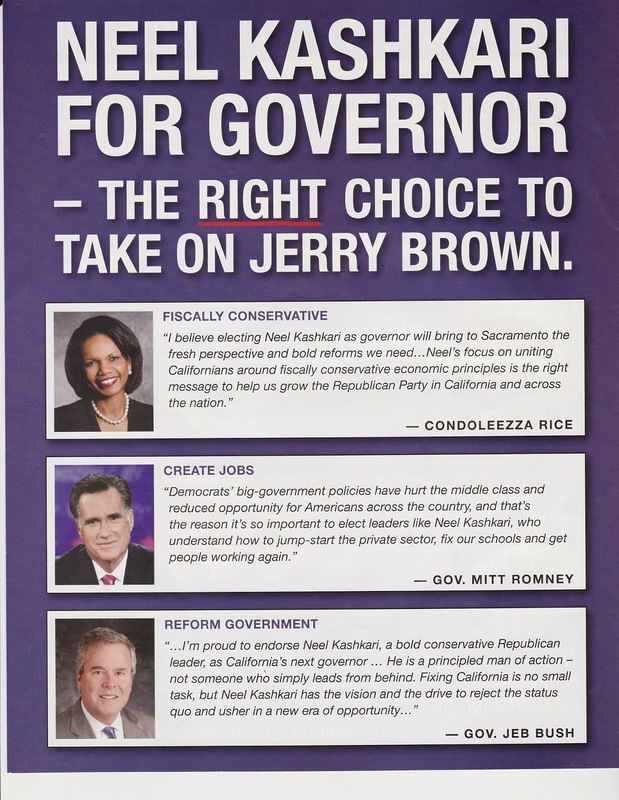 Here is yet another slate mailer, this time, the "California Republican Voter Guide." Two things stand out about this one. First, unlike most other slates that I have received, it recommends Donnelly instead of Kashkari. 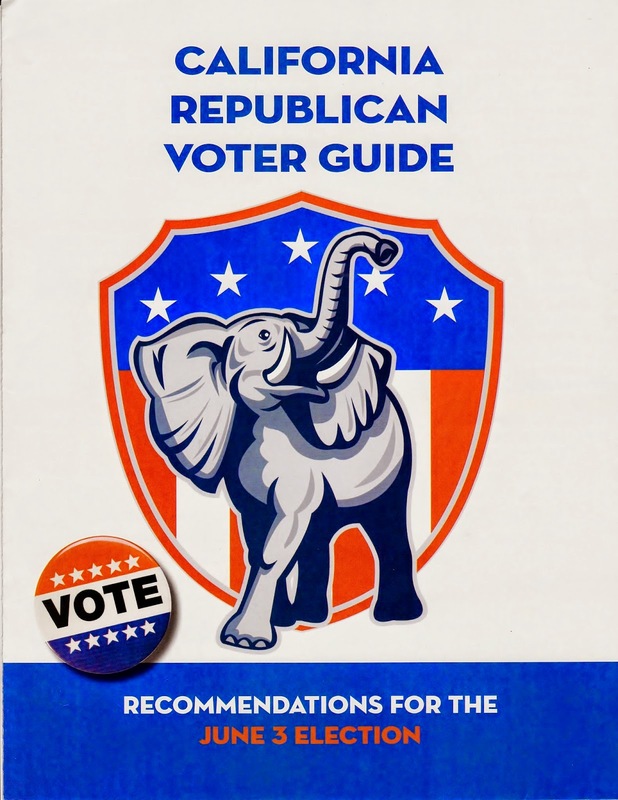 Second, although it is a "Republican" voter guide, it includes three (paid) recommendations for Democrats. Two of the Democrats (Ben Allen and Miguel Santiago) are running in races where no Republican is on the ballot. 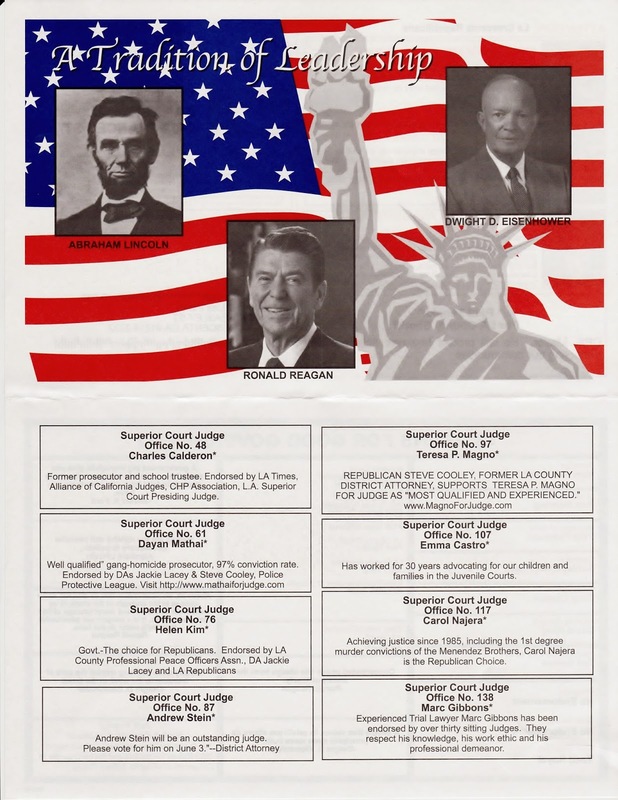 But in the Mendoza race, there is a Republican candidate. A Google search of that address leads to the David L. Gould Company. The firm's clients include Rep. Maxine Waters (D-CA). 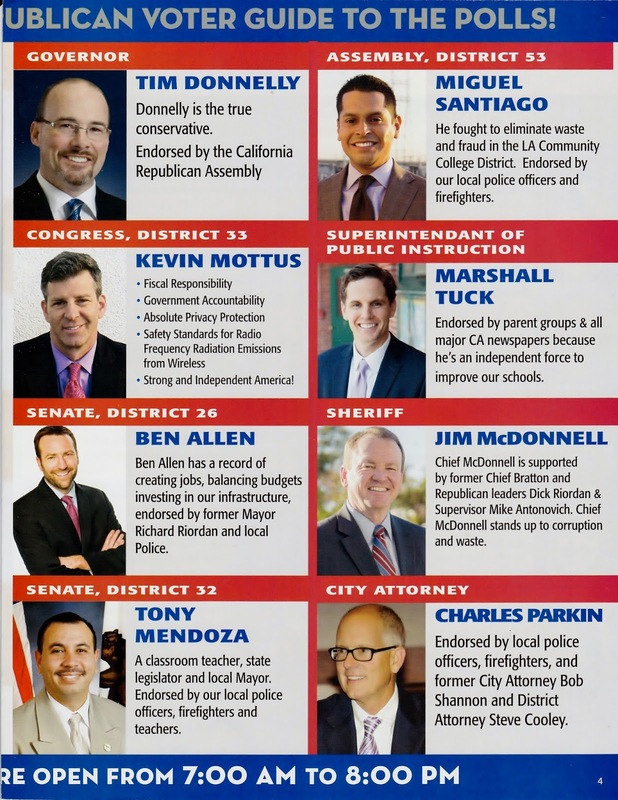 Dear California Candidates: Have Somebody Proofread Your Web Pages! Tim Donnelly, candidate for Governor: "After five years, he started his own small business, providing solutions to his customer’s manufacturing problems." According to this sentence, he had exactly one customer. No wonder he did so badly. John Perez, candidate for Controller: "His prudent fiscal leadership helped eliminate the structural deficit that led to a half billion in savings to finance the state’s debt." So did the structural deficit really lead to half a billion in savings? Phil Wyman, candidate for Attorney General: "He has served as the California Vice Chairman of the Assemblies Committee of Higher Education." It should be "Assembly's Committee.."
Kamala Harris, Attorney General: "Before the Supreme Court found portions of the 1996 Defense of Marriage Act (DOMA) unconstitutional, Attorney General Harris was joined by 14 other Attorneys General in a brief that urged the overturn DOMA." There are some words missing at the end of that sentence. 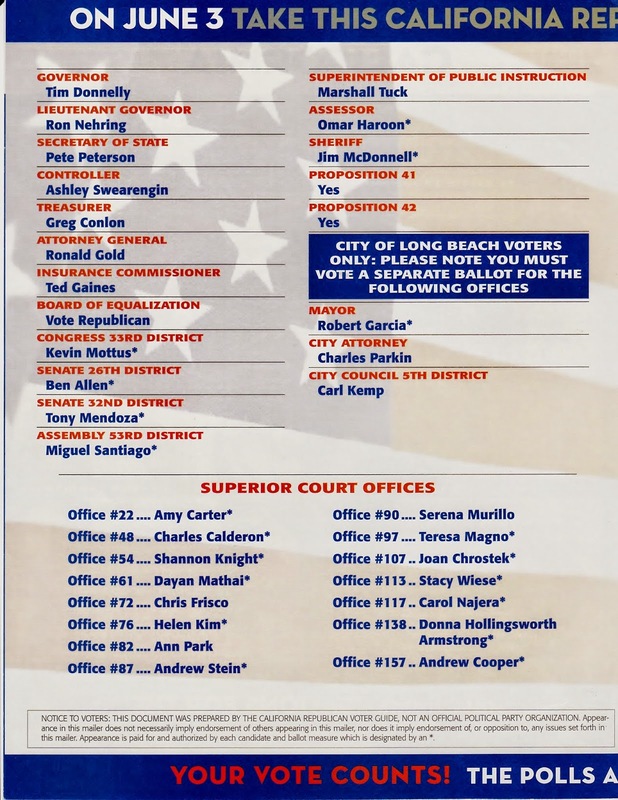 Ron Gold, candidate for Attorney General: "He supports legislations that will allow undocumented residents to register in a State sanctioned program that will let them stay in California and work." Legislations? At The Washington Post, Matea Gold reports that Harry Reid's attacks on the Kochs have led some big GOP donors to seek the anonymity of 501(c)(4) groups. The trend can be seen at the prominent GOP super PAC co-founded by strategist Karl Rove, American Crossroads, which discloses its donors to the Federal Election Commission. The group, which hauled in $117 million during the 2012 election, has raised $9 million so far this cycle, including just $266,000 in April. At the same time, group officials said, donors are more interested than ever in supporting Crossroads GPS, a sister organization with a tax-exempt status that allows it to keep its donor list private. The two groups recently kicked off a $10 million television advertising campaign against vulnerable Senate Democrats — $8 million of which was paid for by Crossroads GPS. Paul Lindsay, a Crossroads spokesman, said the spotlight that Reid (D-Nev.) and others have put on major political funders on the right has driven more contributors to the nonprofit arm. Democrats are “dragging private citizens through the mud, and that’s led to a shift of sorts for donors,” Lindsay said. 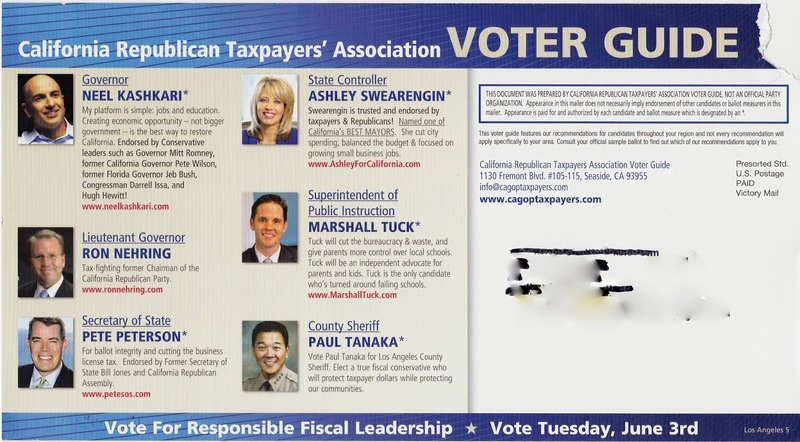 Another California slate mailer, this time from Citizens for Good Government. 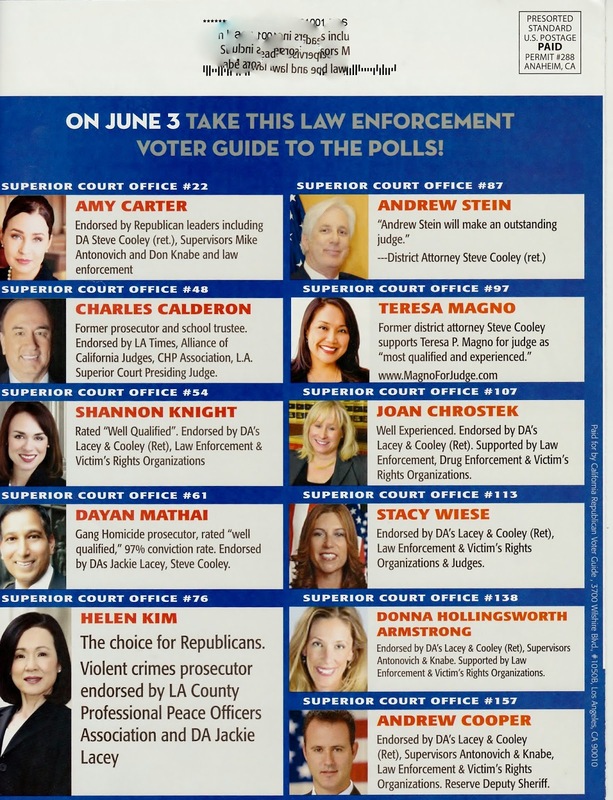 It is a GOP slate mailer, but in the nominally nonpartisan contest for LA County Assessor, it includes a paid endorsement of Jeff Prang, the candidate of the local Democratic establishment. Gallup confirms what polls have been finding for years. People dislike Obamacare. As of yet, there is no sign that Americans think the new healthcare law is having a net positive effect on their healthcare situations. The majority say the law has not affected them, while those who do report it having an effect are more likely to say it has hurt their healthcare situation rather than helped it. Americans also remain more negative than positive when asked about their views of the potential impact of the law on their family's healthcare situation in the long run. That so few believe the healthcare law has had a positive impact on their lives could mean most Americans would not be upset if lawmakers change the law. Democrats running for office this year appear to be adopting a "keep and improve" position that acknowledges that the law needs changes. The Republican House announced Wednesday that it plans to put forward its own healthcare plan for a vote this year that would radically change how the healthcare system works. This proposal almost certainly has little chance of becoming law this year, and it is far from clear if the proposed plan would be any more popular than Obamacare. But given the widespread perception that Obamacare has not benefitted Americans so far, politicians on both sides of the aisle would appear to have little to lose by advocating changes to some elements of the law. The Veterans Affairs scandal's been a major issue on the campaign trail the past couple of weeks. Now it's front and center in the campaign ad wars. Crossroads GPS, the non-profit sister organization to American Crossroads, a leading pro-GOP outside group which was co-founded and steered by Karl Rove, says that starting Wednesday it will start running a television commercial in Alaska that's critical of Sen. Mark Begich over his reaction to the growing controversy, which was first reported by CNN six months ago. 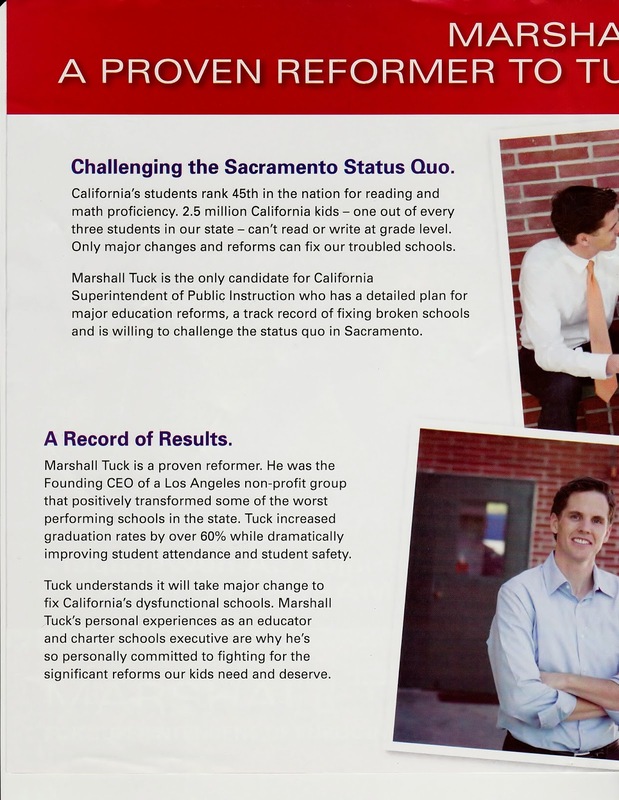 Marshall Tuck is getting help from outside groups in his race for California superintendent of public instruction. 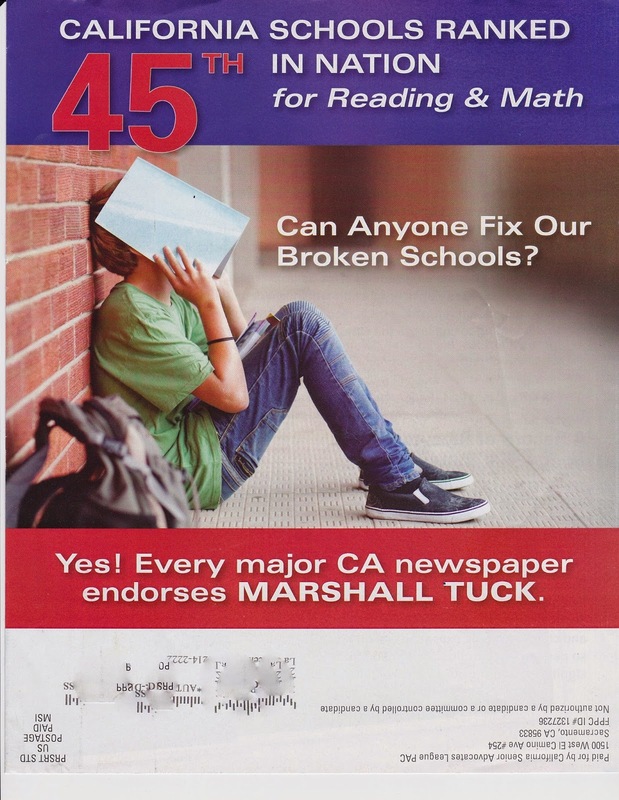 California Senior Advocates League PAC, a committee primarily funded by philanthropist Eli Broad and Manhattan Beach businessman Bill Bloomfield, has spent nearly $700,000 on mail ads for Tuck. 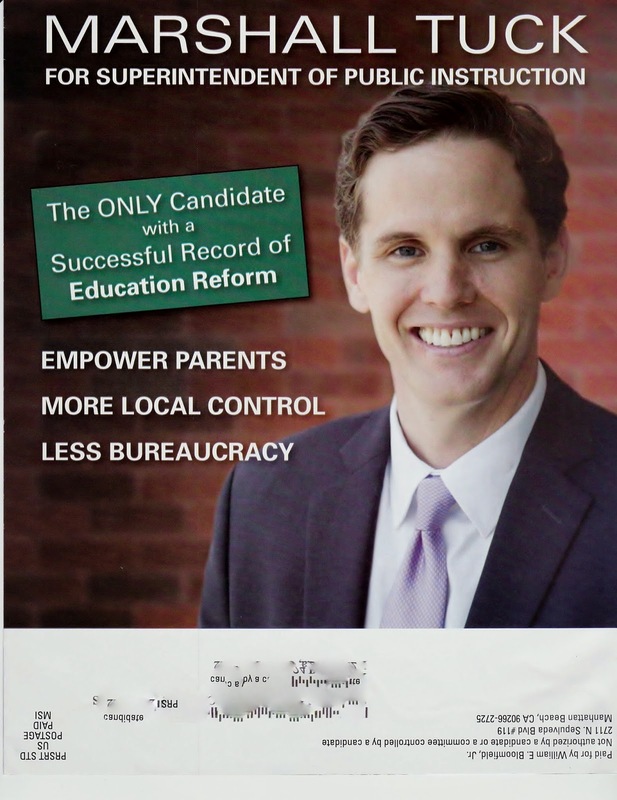 Bloomfield spent an additional $720,000 on pro-Tuck mailers on his own. 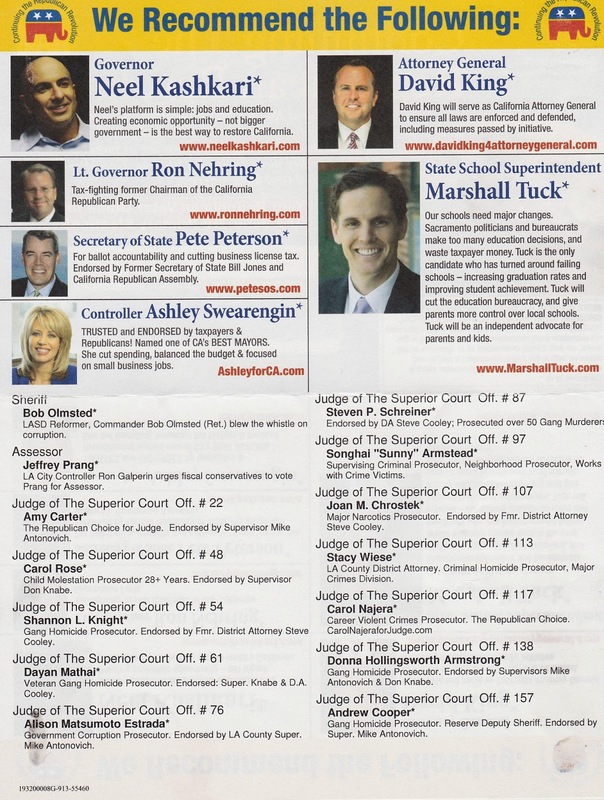 Here is one such mailer (click pages to enlarge). Given that it came to the mailbox of a registered Republican (me) and features Pete Wilson, I am guessing that it is going to GOP voters. Would a Senate "Contract with America" Make Sense? There are several problems with this approach. First, when the House Republicans crafted the Contract in 1994, they had not controlled the chamber in forty years. They were writing on a blank slate, since no one could contrast their promises with their past performance. Senate Republicans, who had a majority just eight years ago, do not have that luxury. We know what a GOP Senate looks like. Second, the Contract had the virtue of apparent novelty: most people in the political community could not remember anything like it. (Actually, there had been something like it in 1980 -- but few noticed at the time and even fewer could recall it fourteen years later.) In 2014, a Senate Contract would invite comparisons with the 1994 version, and it would be a challenge to make it as specific and appealing. Fourth although the individual ideas in the Contract were popular, a pre-election poll found that 71 percent of Americans had never heard of the Contract itself. On balance, it did some good for the GOP, but it was hardly the silver bullet of Republican mythology. The business community, which has poured big bucks into education overhaul efforts in recent years, could give Tuck a boost: Many of his top donors are members of Silicon Valley technology and investment firms, and he has received $15,000 in contributions from former financial executive Eli Broad and employees of his educational advocacy foundation. 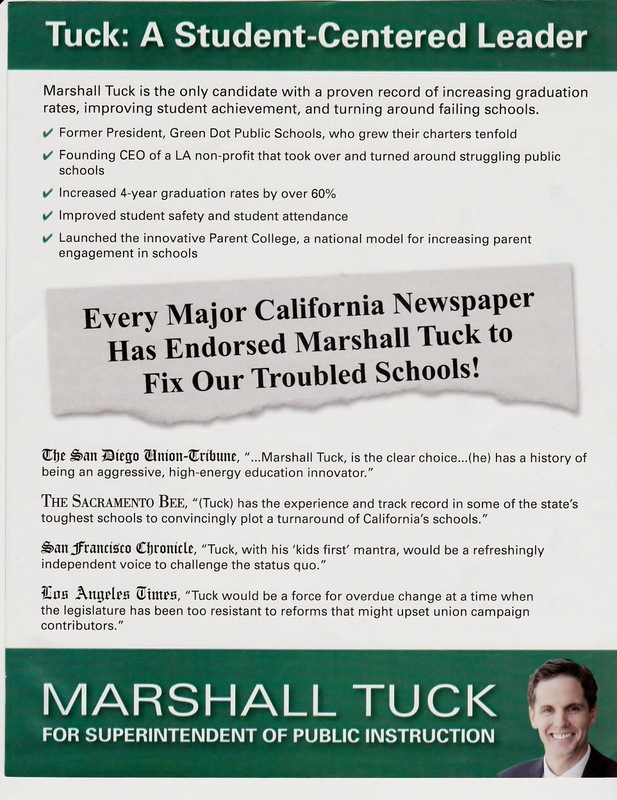 In early May, Los Angeles businessman Bill Bloomfield, a major Republican donor, reported spending nearly $370,000 on slate mailers for Tuck as part of an independent expenditure. Bloomfield said he and his wife, Susan, are passionate about education policy and fixing the state’s underperforming schools. 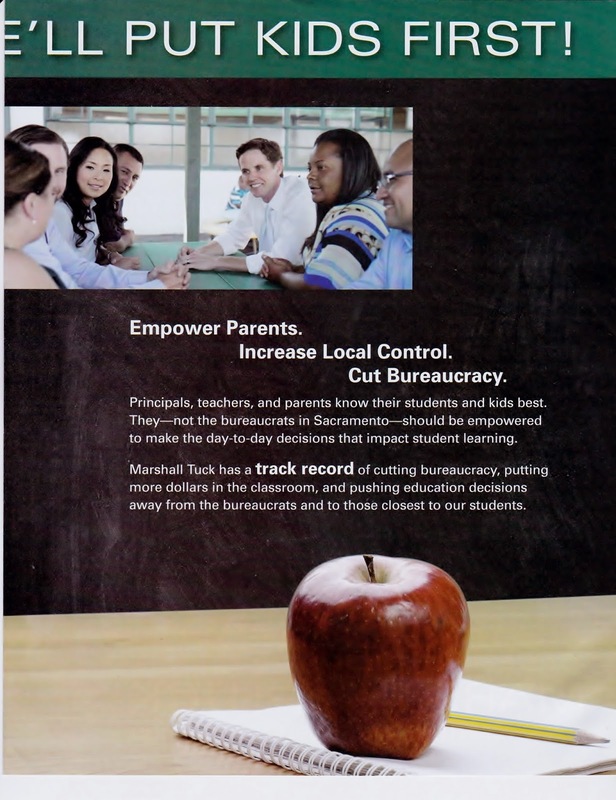 He is a significant supporter of the Michelle Rhee-led national organization Students First. 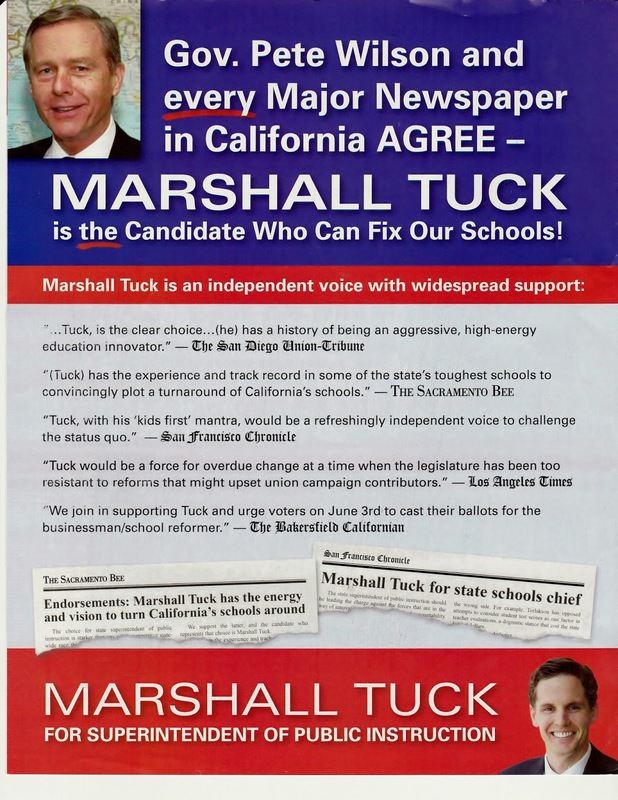 Of the $1.52 million Bloomfield is directing to boost campaigns this year, $720,000 has gone to help schools superintendent candidate Marshall Tuck, who is fighting to advance to a head-to-head match-up against incumbent Tom Torlakson. Both are Democrats. Bloomfield said he and his wife came away impressed after a recent meeting with the candidate, and received a glowing review of Tuck from former Los Angeles Mayor Antonio Villaraigosa. So I need a new Congress. But at a minimum, I’ve got to have a Democratic Senate. And that’s why you’re here. Which leads me to my last point: If, in fact, people agree with us, why is it so hard for us to get a Democratic Senate and a Democratic House? Well, part of it is demographics. I was in Brooklyn with de Blasio -- this is right before he was about to be elected -- and we were coming from this wonderful school that’s training kids in math and science. And we’re driving down Brooklyn and crowds are cheering, and we go into this place to buy some cheesecake and people are hugging me -- and, oh, my uncle just got on Obamacare and it’s terrific. And a woman yells out, what can I do to help? And I said, move to Nebraska! (Laughter.) I don’t need 80 percent of the vote in New York City -- (laughter) -- or Chicago. But Democrats tend to congregate a little more densely, which puts us at a disadvantage in the House. Obviously, the nature of the Senate means that California has the same number of Senate seats as Wyoming. That puts us at a disadvantage. Gerrymandering in many of these states puts us at a disadvantage. So there are some structural reasons why, despite the fact that Republican ideas are largely rejected by the public, it’s still hard for us to break through. But the second reason is we have a congenital disease, which is we don’t like voting in midterms. Our voters are younger, more minorities, more single women, more working-class folks who are busy and trying to get to work, trying to find work. And oftentimes we opt out during midterms. If we had the same turnout in 2012 that we had had in 2010, I might have lost. Instead, of course, we had a very significant and solid victory. Major Republican donor Charles Munger Jr. has contributed $350,000 to a new independent committee he formed to boost GOP gubernatorial candidate Neel Kashkari, a reflection of establishment Republicans’ growing concern about his bid. The move brings the total being spent by others on the candidate’s behalf to more than $650,000, according to records filed with the secretary of state’s office. The new group, called Californians for Kashkari for Governor 2014, has raised a total of $415,000, including $50,000 from billionaire investment fund founder Robert Day. The organization, which by law cannot coordinate its efforts with the candidate, was formed Monday and has already reported spending more than $170,000 on mailers. Here is one of those mailers (click images to enlarge). Last weekend, a conservative blogger in Mississippi named Clayton Kelly was arrested for allegedly sneaking into a nursing home to photograph the wife of Sen. Thad Cochran (R), who suffers from progressive dementia. Two other Mississippi men — one of them a local tea party leader — have since been arrested on conspiracy charges for allegedly taking part in the plot. Anyone interested in the unseemly details regarding why this might make sense strategically as the hotly contested June 3 primary approaches can read what I've written and said. (It centers around rumors that Cochran has long had a relationship with a woman and staffer who is not his wife.) But let's go bigger. Why do people to do such mean-spirited things in the name of politics in the first place? Politics and the media are both full of young and ambitious people who don't get paid terribly well, but want to do something big and bold — to make a name for themselves. Both businesses tend to glamorize rule-breakers who not only get away with their risky maneuvers, but earn plaudits for them (Lee Atwater for operatives; Hunter S. Thompson for would-be gonzo journalists), and both exist in a sort of "wild west" where pushing the boundaries of what is acceptable is deemed necessary for success. Both are fueled by caffeine, alcohol, and too much testosterone. This is a business where people are heralded for their ability to "spin," where attacking opponents is an acceptable and expected part of the game. The incident in Mississippi represents the culmination of many things. We have the convergence of media activism (with the rise of alternative media and blogs), the ever-present problem of campaigns and journalism being stacked full of ambitious young people, and the trend of political campaigns being viewed as tantamount to military battle, meaning that every election is viewed as an existential threat to one's side. The big lesson is that young political and media operatives ought to be careful. Being virtuous isn't just a touchy-feely thing; in politics, it's a survival strategy. 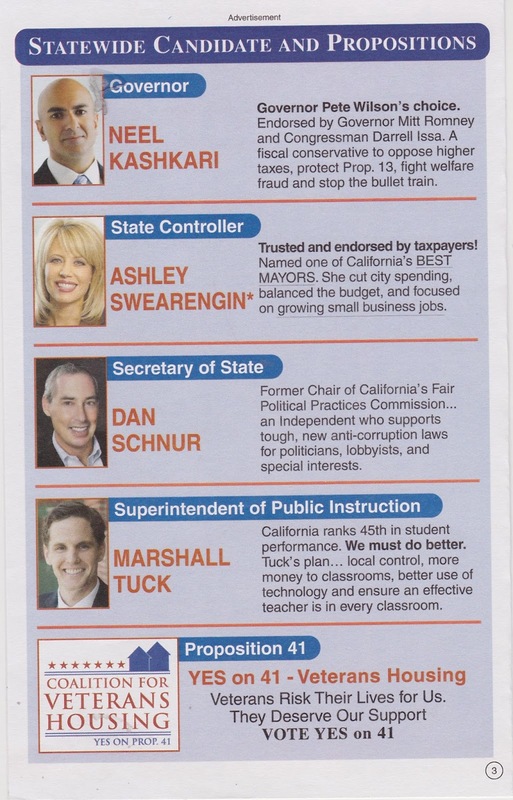 Like those in a previous post, this one includes Neel Kashkari and Marshall Tuck. The latter is a Democrat running for a nominally nonpartisan office, Superintendent of Public Instruction. Outsiderism is inherently unstable. When outsiders keep losing, they get discouraged. When they start winning, they cease being outsiders because they become insiders. The round of Republican primaries held Tuesday has been headlined as a tide-turning victory of the GOP establishment over Tea Party insurgents, with the most notable one being the win scored in Kentucky by Senate Minority Leader Mitch McConnell over a well-funded opponent. But whatever yesterday’s votes portend, polls have been showing a decline in Tea Party support among Republicans since their peak of influence in 2010. In asking Republicans whether they agree or disagree with the Tea Party, Pew Research surveys found that agreement has fallen from 48% in March 2010 to 33% in our most recent poll conducted in late April this year. At one point agreement with the Tea Party dipped to 28% in May 2013, during the long budget standoff between congressional Republican leaders and the White House. The big-spending conservative group American Crossroads and its nonprofit arm launched a new offensive Tuesday in the 2014 campaign for control of the U.S. Senate with an ad targeting North Carolina Sen. Kay Hagan and her support of the Affordable Care Act. The ad is the first in a $10-million campaign by the nonprofit Crossroads GPS and its sister "super PAC" American Crossroads that will target vulnerable Democrats this summer in four key states: Arkansas, Alaska, North Carolina and Colorado. The spot features Hagan echoing President Obama’s promise that if Americans liked their healthcare plans, they could keep them, and highlights the fact that thousands of North Carolina health insurance plans were canceled because they did not meet the requirements of the new law. The ad is just the latest salvo in what campaign advertising analyst Elizabeth Wilner calls “a four-year avalanche” of ads maligning the Affordable Care Act even though polls show that public opinion has essentially hardened on the law. From its passage in March 2010 through this April, opponents of the Affordable Care Act spent $418 million on negative ads about the law, while proponents spent just $27 million to tout their support, according to an analysis by Kantar Media’s Campaign Media Analysis Group, which Wilner oversees. That means the law’s opponents have spent $15 for every $1 spent by supporters of Obamacare. Donnelly's strong showing in polls - he's a solid No. 2 in a primary where the top two finishers advance - has brought warnings from the GOP establishment that a Brown-Donnelly face-off in November would be a disaster for California Republicans. Top-tier Republicans like former Florida Gov. Jeb Bush, 2012 presidential nominee Mitt Romney and former Gov. 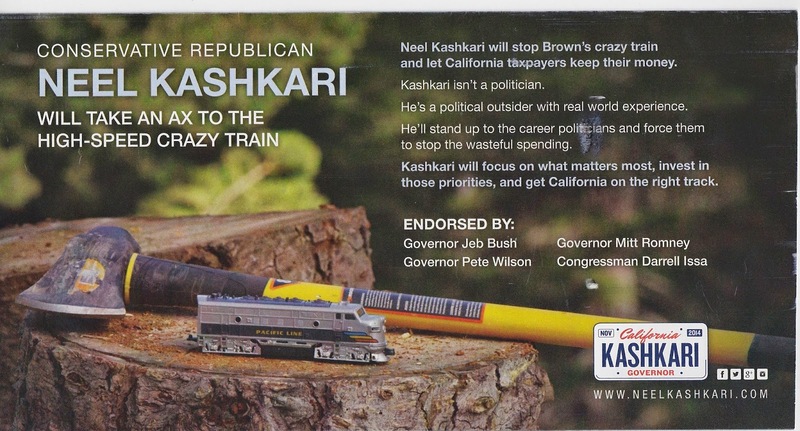 Pete Wilson have lined up behind a more moderate candidate, former Treasury official Neel Kashkari, to be the GOP choice. 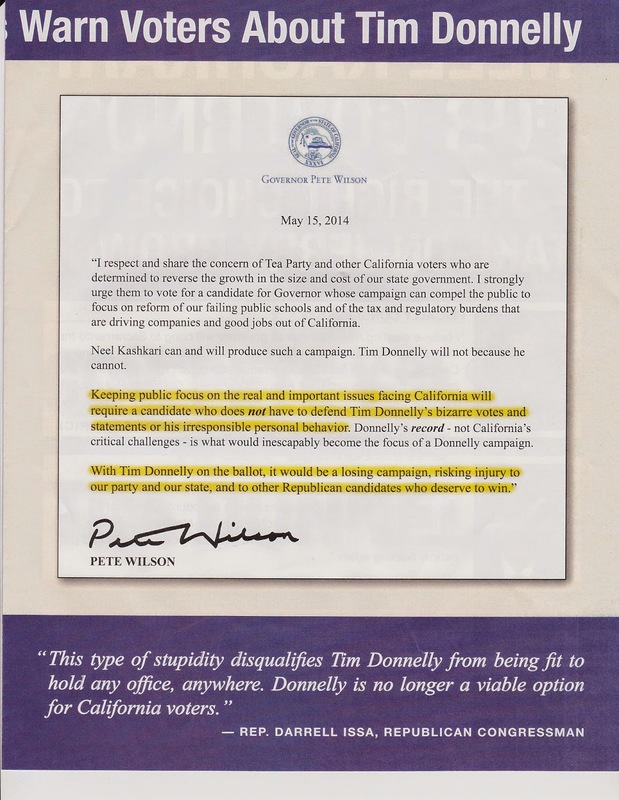 Being more popular with California's conservatives and the Tea Party grass roots than withRepublican Party leaders is not a problem for Donnelly. "I could care less about parties," he told the room full of cheering supporters in San Jose. "They're not the answer, they're part of the problem. We the people are the answer." This line points out something important about the race. 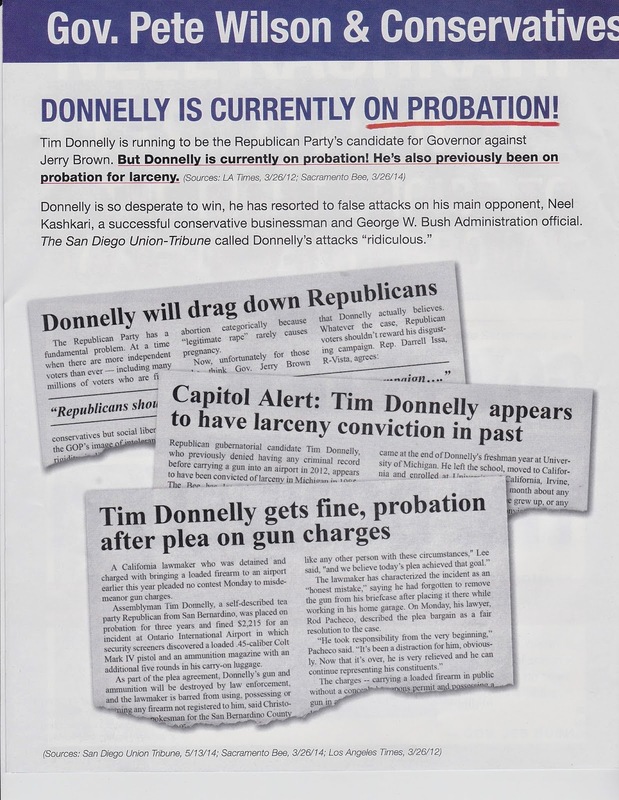 If Donnelly faces Brown in November, he could drag a lot of Republicans down with him. 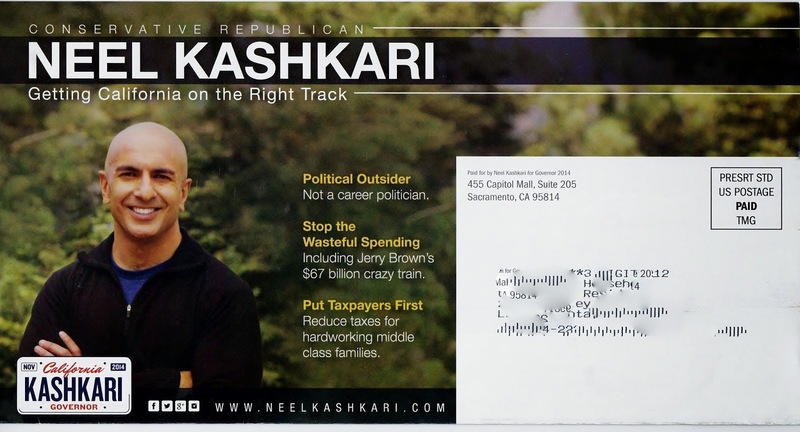 McLear says Kashkari this week will add to already widespread digital outreach to include more direct voter mail contact and media, and the campaign has bought spots on a dozen slate mailers that are expected to reach GOP voters around the state. “We always said, “Let’s wait until the voters are paying attention, and with absentee ballots dropping..now is the time to start,’’ said McLear. 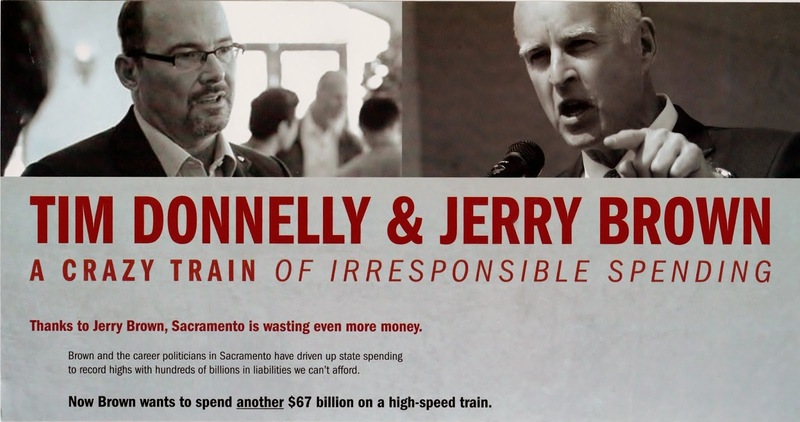 From Budget Watchdogs (whose address is the same as California Voter Guide). As Neel Kashkari tapped his personal coffers to put another $1 million into his gubernatorial bid Friday, GOP strategist Karl Rove declared that if Kashkari’s rival ends up as the Republican standard-bearer in California after the June 3 primary, candidates across the nation would be forced to disavow him. 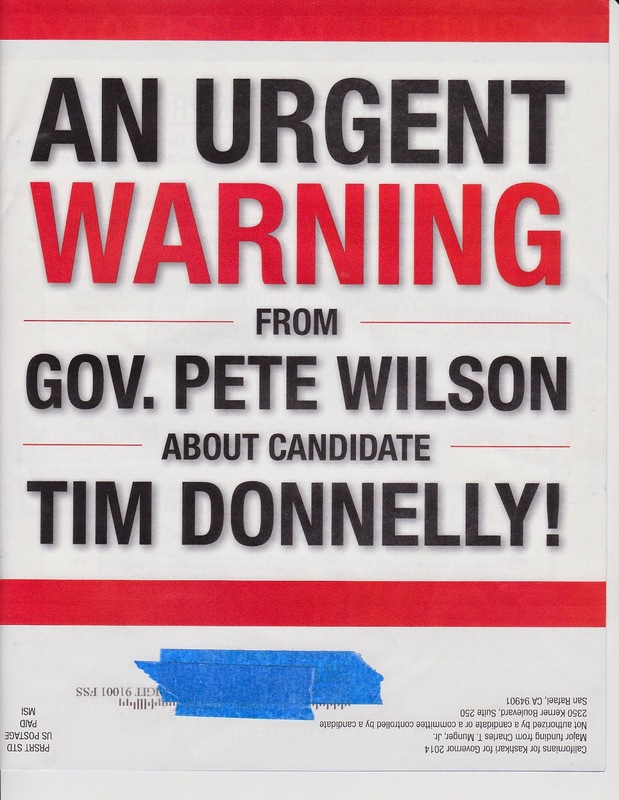 Assemblyman Tim Donnelly "is quite prone to sharing the weird recesses and corners of his mind; it could be really problematic for the GOP," Rove told Hugh Hewitt on nationally syndicated radio. Hewitt has endorsed Kashkari. Donnelly has made controversial statements on immigration and other matters that have drawn condemnation from Republicans. Rove said such statements would dominate the debate with incumbent Gov. Jerry Brown in the fall if Donnelly is elected in June to challenge him. “If the California Republican Party has as the leading candidate … somebody who has said the outrageous things that he’s said, and prone to the outrageous behavior that he routinely engages in, it will be used to tarnish not only the California Republican Party, but they’ll throw it at everybody on the ballot,” he said. Senate Majority Leader Harry Reid (D-Nev.) on Thursday called for amending the U.S. Constitution to bar big money donors from having an outsized impact on the nation's elections, saying billionaire donors were mounting a "hostile takeover" of America. "Amending our Constitution is not something any of us should take lightly, but the flood of special interest money in our American democracy is one of the glaring threats our system of government has ever faced," Reid said on the Senate floor. "Let's keep our elections from becoming speculative ventures for the wealthy." The amendment, sponsored by Sens. Tom Udall (D-N.M.) and Michael Bennet (D-Colo.), would reverse the Supreme Court's 2010 Citizens United and 2014 McCutcheon rulings, as well as part of its 1976 Buckley v. Valeo ruling, and restore certain congressional authority to regulate the raising and spending of money, including that of super PACs. The race between Kashkari, a moderate Republican, and Donnelly, a tea party favorite, has been billed for months as a test of the ideological direction of the Republican Party in California. 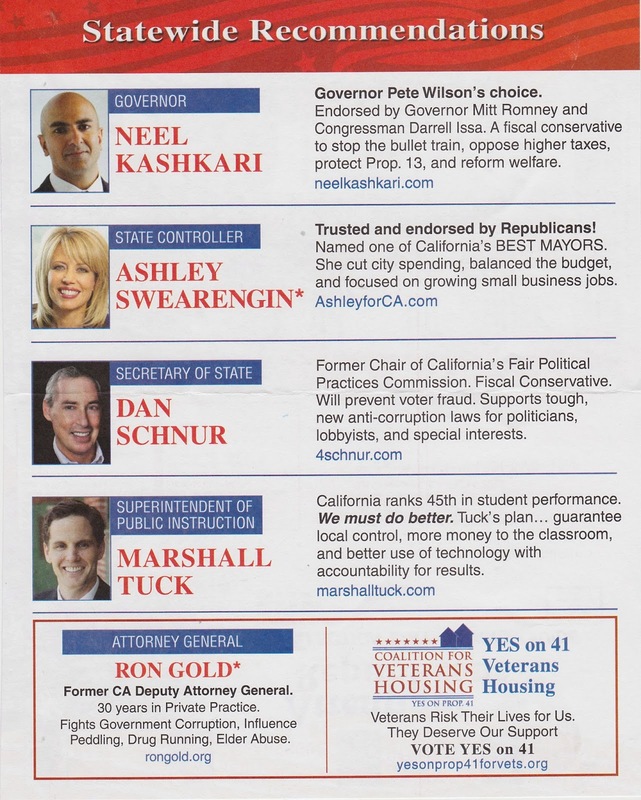 Kashkari, a former U.S. Treasury Department official, announced endorsements from former California Gov. Pete Wilson, former Massachusetts Gov. Mitt Romney and former Florida Gov. Jeb Bush. But big-name supporters aren’t here rallying with Kashkari. Nor are tea party personalities flying to California to give Donnelly a lift. 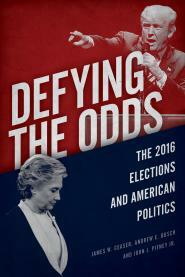 The race has drawn so little interest that the outcome could just as easily be taken not as a beacon for the party, but as a peculiarity. Yet Donnelly and Kashkari keep fighting like there is. Kashkari, who trails Donnelly badly in publicopinion polls, recently dropped $1 million into his campaign and began airing TV ads in what is likely to be a limited statewide run. He also put up an attack website intended to drag Donnelly down. Donnelly, an assemblyman from Twin Peaks, busied himself online, as well, with his campaign posting social media messages connecting Kashkari to Shariah law. The basis for Donnelly’s claim was a program for an “Islamic Finance 101” seminar at the Treasury Department in 2008, when Kashkari was a senior Treasury official. By 10 p.m. Tuesday night, the Associated Press called the primary for Ben Sasse. This morning we see Sasse won nearly 50 percent in a four-way race. As the Hotline’s Josh Kraushaar noted, after Marco Rubio, Ted Cruz, and now Sasse, National Review has the reverse Sports Illustrated cover jinx. This morning you’re seeing some folks celebrating this result as a win for the Tea Party over the Establishment, and while that’s not quite wrong, the usual lines were a little blurred. Sasse went to Harvard, Oxford and Yale; already worked on Capitol Hill and President Bush appointed him as Assistant Secretary of the U.S. Department of Health and Human Services. His first prominent rival, Shane Osborn, had a distinguished military record; he was the pilot on that jet that the Chinese forced down at the beginning of the Bush administration. Osborn probably immolated himself by going negative and delivering the negative message personally. Dinsdale was the wealthy banker running as the outsider, but his bank had helped nudge Ben Nelson to support Dodd-Frank. Maybe not the worst sin for a GOP candidate, but a reason to be wary of the guy who’s touting himself as a pragmatist who can reach a deal. In a series of polls on Obamacare, the Kaiser Family Foundation has asked two simple questions that are particularly revealing about the new law's reach: "So far, would you say you and your family have personally benefited from the health reform law, or not?" and "So far would you say you and your family have been negatively affected by the health reform law, or not?" The percentage of respondents who say they have benefited from Obamacare has inched up, from 14 percent last October, when the exchanges went online, to 18 percent in April. But the percentage of those who say they or their family have been negatively affected has also increased, from 23 percent last October to 30 percent in April. Of those who say they have benefited from Obamacare, half — that is, half of the 18 percent — say the primary benefit has been to make health care more accessible. About a quarter — again, a quarter of that 18 percent — say the Affordable Care Act has made health care more affordable. Of the 30 percent who say they have been negatively affected, a big majority sa ys Obamacare has increased their health care costs and narrowed their health care choices. A recent Pew Research Center poll found that 55 percent of those surveyed disapprove of Obamacare -- matching the highest disapproval rating in Obamacare's troubled history. "The recent surge in signups for the new health care exchanges has had little impact on public opinion about the Affordable Care Act," Pew concluded. Mickey Kaus tweeted: "Can't assume the millions who've signed up for Ocare are happy with it. Millions have signed up for Time-Warner Cable." Obama is most comfortable when he tells the Democratic faithful what they want to hear, as opposed to letting the country know what it needs to know, namely how to get out of the grasp of a sclerotic economy. Instinctively, Obama talks about rising inequality, global warming, and attacks on college campuses. These issues, however, are not paramount to most. These days a majority of Americans are worrying first and foremost about growth and jobs. Just recently, a study released by the Global Strategies Group, a Democratic consulting firm, reported that growth is the pressing issue of our times. Fully 78 percent of respondents called it extremely or very important to “promote an agenda of economic growth that will benefit all Americans.” To put things into perspective, growth handily beat out income inequality (50 percent) and redistribution (43 percent) as national priorities. Yet, by harping on issues that excite Hollywood and the Democratic elites, Obama subjects himself and the Democrats to the loss of the Senate. Although Frenchman Thomas Piketty is all the rage among the chattering class, he doesn’t get to vote in U.S. elections, and France’s growth is even more tepid than ours. For the record, French unemployment under its Socialist-led government is north of 10 percent, but it does have higher taxes to the delight of the true-believing left. In a chronic phenomenon of under-enfranchisement in the Golden State, there are at least 6.4 million residents who are eligible to vote but were not on the registration rolls as of early April. California’s registration rate is close to last in the United States, and its legions of eligible but unregistered voters make up a disproportionate share of the nationwide total. Experts say there are multiple reasons for the shortfall, such as residents here moving more often, bureaucratic hurdles and uncompetitive statewide contests that fail to capture the public’s attention. Whatever the causes, the result is the same: an electorate that is whiter, older and wealthier than the state as a whole and a large share of the population disengaged from the laws and representatives chosen in its name. “It’s a particularly big problem – there’s a big difference between people who vote and the people who don’t vote in California,” said Mark Baldassare, president of the nonpartisan Public Policy Institute of California. As we explain in After Hope and Change, the 2012 presidential debates were gaffe factories. The people who watched most attentively were Obama's oppo guys, waiting for comments such as "self deportation." Reince Priebus later acknowledged that the line was "horrific." The first is that the Republican civil war suffers from an imprecision of language. It’s mostly described as the tea party versus the establishment, but what is the tea party? Several groups lay claim to the movement’s mantle, but they have varying levels of funding and political credibility. As The Washington Post reported last month, many issue endorsements but spend most of their money on their own political operations rather than on supporting their chosen candidates. So getting dubbed a “tea party” candidate is easy compared to actually getting national anti-establishment muscle behind you. Which brings up a second lesson: Follow the money. Tillis benefited from $2.5 million in TV ads and mailers from groups like American Crossroads (Karl Rove’s outfit), the U.S. Chamber of Commerce and the National Rifle Association. Tillis’ main competitor, Greg Brannon, was deemed a tea party candidate, but it earned him little to no national anti-establishment support: He got a visit from Kentucky Sen. Rand Paul and a bit over $100,000 in help from the one major tea party group to support him, FreedomWorks. About four in 10 Republicans and Republican-leaning independents classify themselves as supporters of the Tea Party, while 11% are opponents and 48% are neither. This continues to be a significant drop from the Tea Party's high-water mark in November 2010, when 61% of Republicans were supporters of the Tea Party. In the past three and a half years, levels of support and opposition for the Tea Party among Democrats and Democratic-leaning independents have changed relatively little. These data are from a April 24-30 Gallup survey and underscore both the existing division of opinion in relationship to the Tea Party among Republicans and the shift in support since the last midterm election. Josh Kraushaar reports at National Journal that North Carolina House Speaker Thom Tillis won the Republican Senate nomination. North Carolina was the opening battleground in the fight between the Republican Party's two main factions, and it's a sign the establishment's no-holds-barred strategy is paying off. American Crossroads spent $1.6 million on behalf of Tillis, significantly more than the resources of Republican challengers Greg Brannon and Mark Harris. 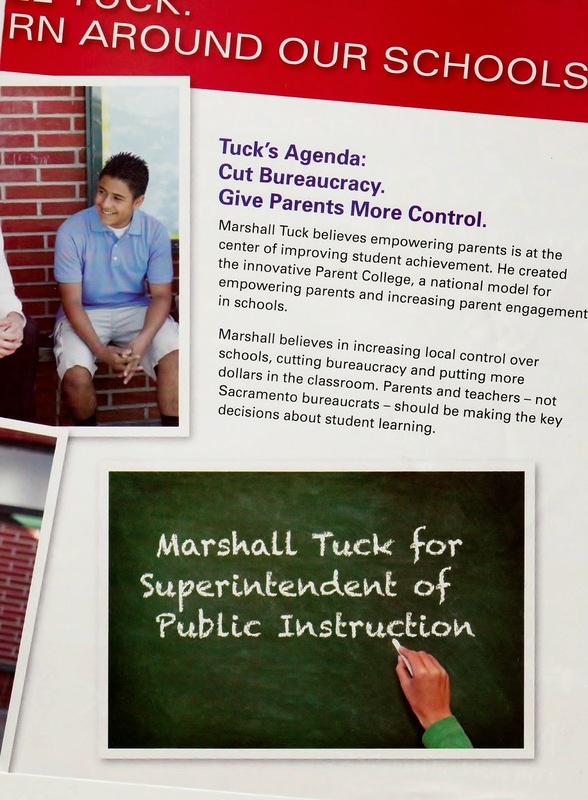 They aired three ads, which each touted Tillis's conservative record and rebutted Democratic attacks against him. Their strategy was twofold: Spend early to avoid a financially costly runoff that could wound Tillis for the general election and begin to make the case against embattled Democratic Sen. Kay Hagan. It worked, with Tillis winning well over 40 percent across the board, in most North Carolina counties. "The stakes were pretty high for us to get him there," American Crossroads Political Director Carl Forti said. "We may have had to spend significantly more to get [Tillis] through a runoff, and that's money that's not going to other important races." The Karl Rove-aligned super PAC took heat last year from conservatives for announcing the formation of the Conservative Victory Project, an effort designed to prevent less-electable candidates from winning primaries. But with considerably less fanfare, the group achieved the same results by employing a similar strategy to boost Tillis. Crossroads officials said that it's likely they will get involved in additional primaries, given the successful outcome in North Carolina. Here we can distinguish between two types of Tea Party organizations, hence the scare quotes. The Tea Party Leadership Fund (TPLF), basically a buck-raking operation, spent 2014 telling gullible conservative donors that it could take out John Boehner. Boehner won renomination by 47 points. FreedomWorks was not, in 2010 or 2012, a shadow organization like the TPLF, but it's having a rotten year. It endorses candidates and then fails to get behind them. It endorsed Katrina Pierson, who lost an underfunded race in Texas, and it lost two more races last night—state Rep. Matt Lynch's congressional primary challenge in Ohio, and Dr. Greg Brannon's attempt to force a runoff in North Carolina's Senate race. At some point, activists might wonder if FreedomWorks is spending too much time promoting its president's books and too little time sending reinforcements into the states. Josh Richman writes about a very strange turn in California's gubernatorial race. The post includes a link to a Tweet by Gunn, a conservative online columnist, which in turn links to a 2008 commentary by conservative pundit Frank Gaffney published by the Washington Times. And that’s where the BS begins in earnest. Even in 2008, it was a reach. And in 2014, with TARP not only having succeeded in stabilizing the financial sector but also having profited taxpayers to the tune of $13.6 billion, it’s clear that no creeping Shariah ever materialized. Except that he didn’t. The only real question Donnelly’s insinuation raises is whether he’s trying to capitalize on Kashkari’s ethnic-sounding name – he’s actually Indo-American, and a Hindu – to score cheap points. With the midterm elections six months away, Democrats are burdened by an uneven economic recovery and a stubbornly unpopular health care law. Perhaps equally important, Barack Obama’s political standing is in some respects weaker than it was at a comparable point in the 2010 campaign, which ended with the Republicans gaining a majority in the House. 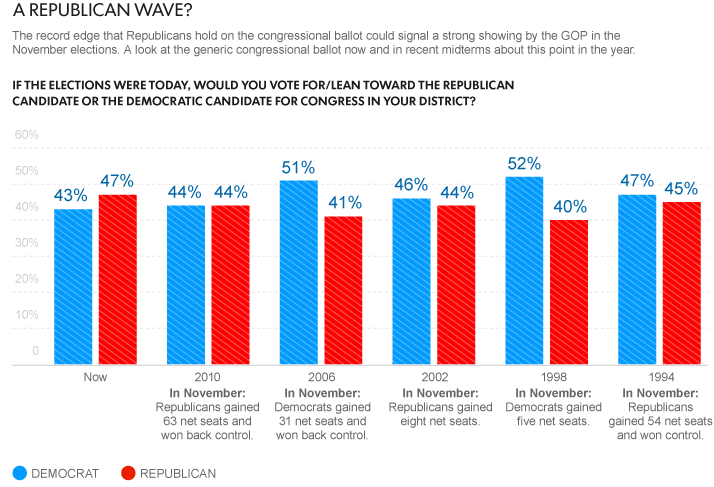 A national survey by the Pew Research Center and USA TODAY, conducted April 23-27 among 1,501 adults (including 1,162 registered voters), finds that 47% of registered voters support the Republican candidate in their district or lean Republican, while 43% favor the Democratic candidate or lean Democratic. The trend over the past six months in the so-called generic ballot shows that Democrats have lost ground. In October, Democrats held a six-point lead (49% to 43%) in midterm voting preferences. While a majority of voters (54%) say that Barack Obama will not be a factor in their vote this fall, more (26%) see their vote as a vote against the president than for him (16%). In February 2010, 24% of voters saw their vote as for Obama while about as many (20%) considered it a vote against him. At this early point in the campaign, Obama inspires far less enthusiasm among Democratic voters than he did four years ago. Only three-in-ten Democratic voters (31%) think of their vote as being “for” the president. In February 2010, 47% of Democratic voters saw their vote as an expression of support for the president. Six months before Election Day, the GOP has a one point edge over the Democrats (46%-45%) among registered voters nationwide in the generic ballot. The question asks respondents to choose between a Democrat or Republican in their congressional district without identifying the candidates. While that margin is well within the survey's sampling error, any advantage is noteworthy, since Republicans normally perform better among the smaller pool of those who vote in midterm elections than the wider group of registered voters. The GOP's margin grows 48%-45% when looking just at those who say they voted in the last midterm elections, in 2010. One of 2013's more intriguing campaign finance stories was the fact that -- after being outspent 2-to-1 in the 2012 cycle -- liberal outside spending groups easily outpaced their conservative counterparts. Led by groups with close ties to Democratic leadership, liberal super PACs dominated the outside spending in early races such as the special elections in Massachusetts and New Jersey, while major conservative players held their fire or focused on Republican primary fights. Let's hope Democrats enjoyed the lead while it lasted. This week, conservative groups surpassed liberal groups in total reported outside spending for the 2014 cycle -- and aren't likely to look back. The scales tipped in favor of conservatives yesterday when the U.S. Chamber of Commerce, which last cycle spent the bulk of its money opposing Democratic Senate candidates, reported several major ad buys in North Carolina. Conservative groups as a whole have spent $35.7 million so far this cycle, narrowly edging their liberal counterparts' $35.4 million. As previous posts have indicated, the Chamber has already been quite active in this cycle. Even the strongest job growth in two years isn’t enough to entice more people into the labor force, one of the biggest conundrums of the U.S. economic expansion. The share of the working-age population either employed or seeking a job declined in April for the first time this year, helping drive theunemployment rate down to 6.3 percent, the lowest since September 2008, Labor Department figures showed yesterday. At 62.8 percent, the so-called participation rate matches the lowest since March 1978. A shrinking workforce saps the U.S. of the manpower needed to boost the expansion to a higher level, keeping the world’s largest economy merely plodding along. It also undercuts the theory that sustained growth alone will be enough to attract more Americans, from students to people discouraged over employment prospects, back into the hunt for jobs. The decline in participation from 63.2 percent in March came as fewer Americans entered the work force, while the number of people who have given up the search for employment remained close to the average for the last year. There were 783,000 of these so-called discouraged workers in April, compared with 835,000 a year earlier. This time, they might not. In the first test of California’s top-two primary in 2012, the new system failed to produce the increase in voter turnout that many had hoped for. But it did appear to encourage participation of independent voters. Under the new system independents are no longer required to take the extra step of requesting a ballot with all legislative and congressional contests on it. As a result, more independents appear to have voted in these primary races than they had under the old system. These are among the key findings of a report released today by the Public Policy Institute of California (PPIC). One of the goals of the top-two primary is to get more voters to the polls, but turnout in the 2012 California primary was the lowest of any presidential primary in 90 years. This was at least partly because the races for president and U.S. Senate were low key. But the result raised questions about turnout in primaries generally and about the impact of the new top-two system, in which voters can vote for any candidate from any party and the two top vote-getters—regardless of party—compete in the general election. "Reform efforts to increase turnout may not prove particularly effective, but the top-two primary does appear to have already encouraged more independents to vote in legislative and congressional contests,” said Eric McGhee, PPIC research fellow and author of the report. The shift to the top two has added new urgency to the question of who votes in the primary and who doesn’t. The PPIC report finds that California’s primary electorate is older, less likely to be Latino or Asian American, and typically more Republican than the electorate in the general election. The partisan differences mattered little in the old system because every party that ran at least one candidate in the primary would be assured a place on the fall ballot. Now, primary voters can close off the possibility of a contest between parties in the fall. There has already been one primary race for a competitive seat that resulted in a same-party contest in November—the 31st congressional district in San Bernardino County. The PPIC analysis shows that the outcome almost certainly would have been different if the fall electorate had voted in the primary. The effect of initiative campaigns deserves close consideration because of a recent policy change. The California Legislature, through SB 202 in 2011, offered a new interpretation of the state constitution and declared that all citizen initiatives must appear on the general election ballot. 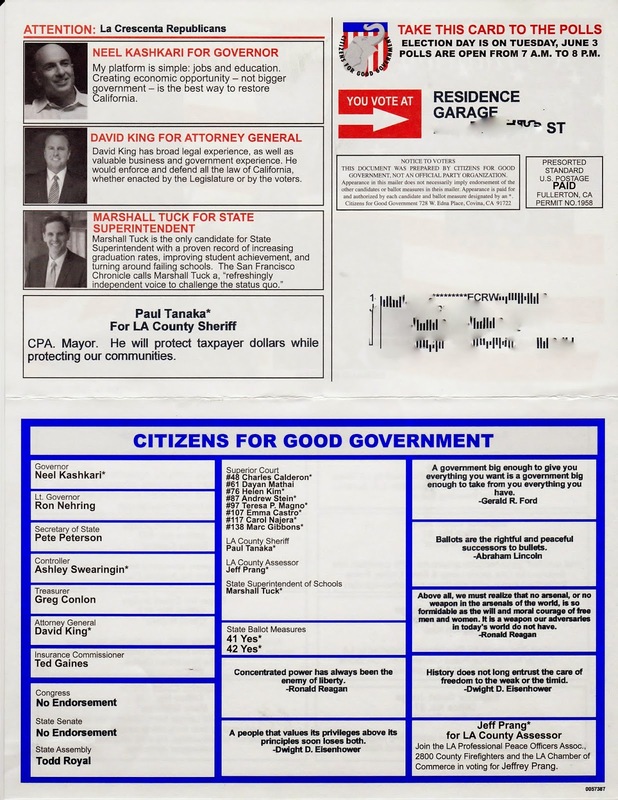 As a result, the June 2014 primary will be the first in decades that does not include a statewide citizen initiative. However, the June ballot will not be devoid of all ballot measures: The legislature has placed two of its own proposals on the ballot, and it is possible that these two will be enough to draw voters to the polls. However, our analysis suggests that should future primary elections fail to include any initiatives on the ballot, primary turnout is likely to be between three and seven percentage points lower than it might otherwise be. There are no US Senate elections in California this year. In the gubernatorial race, Governor Brown has a big lead and is not yet campaigning. The Republican contenders have raised little money and are unknown to many voters. 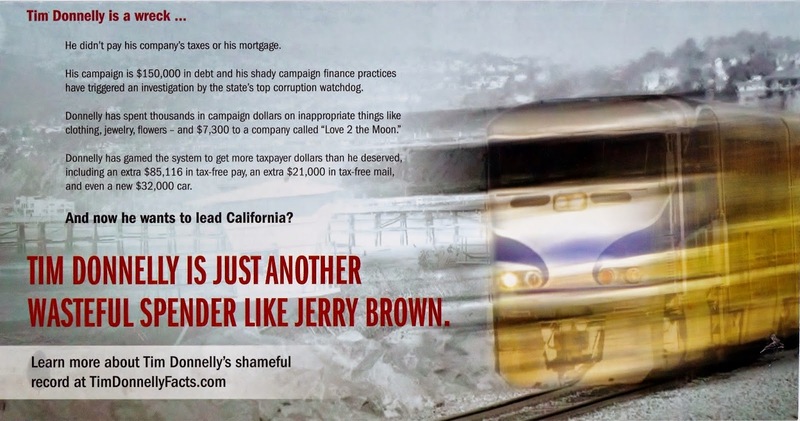 Scandals have dampened political enthusiasm among Californians.